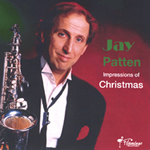 Saxophonist, vocalist, band leader, composer Jay Patten has released six well received albums, including his CBS Sony album "Black Hat and Saxophone," "Crystal Nights" and "Impressions Of Christmas." His latest cd is "Street Scene." It's a tribute to his adopted home town of Nashville, Tennessee. 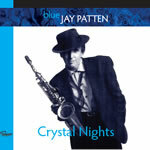 Containing five vocals and eight saxophone instrumentals, it showcases eight of Jay's original songs as well as five classics. 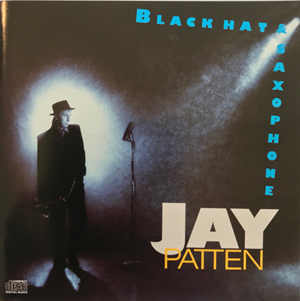 Jay has had a career as a solo artist, songwriter and studio saxophonist in Los Angeles and Nashville playing on recordings for people like Johnny Cash, Bill Anderson, Riders In The Sky, Lobo, David Loggins, Delbert McClinton, Leon Russell, Nanci Griffith and Crystal Gayle. He was awarded the NARAS "Super Pickers" award for musicianship. Crystal Gayle took notice and hired Jay. He has been Crystal Gayle's bandleader/music director for over three decades, playing saxophones, guitar, vocals and mandolin. 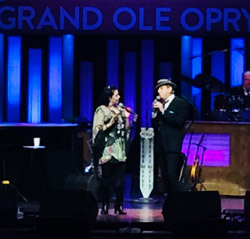 Jay has appeared with Crystal on some of the world's greatest stages including the London Palladium, Carnegie Hall, The Kennedy Center and many more. Jay has conducted over 50 symphony orchestras for her including the Chicago Symphony, The Philadelphia Pops Orchestra and The United States Navy Band. Jay is a graduate of the Berklee College Of Music and was honored with The Berklee Distinguished Alumnus Award. After college, Jay toured the world as lead vocalist and guitarist with the new Glenn Miller Orchestra with jazz clarinetist Buddy DeFranco as leader. Jay is featured on the "Live At Royal Festival Hall" album. Born in Paterson, New Jersey, Jay grew up listening to Elvis, Sinatra, the Beatles, Ray Charles, Stan Getz, James Brown and lots of jazz, blues and country. He started playing gigs in the New York area when he was just 13. Jay moved to Clearwater, Florida and while still in high school he played for acts like Bobby Rydell, the Shangri-Las, The New Beats, Del Shannon and more. Jay even played in a band that opened for The Rolling Stones. He's lived and worked in Boston, New York, Los Angeles and of course Nashville. "Music... playing it, singing it, writing it, is all I've ever wanted." 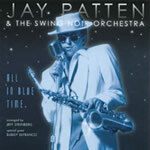 Check out "Street Scene," a gift of passion from a diverse musical talent, Mr. Blue Jay Patten. >> Click here to view a list of artists Jay's worked with.